The Creole case was the result of an American slave revolt in November 1841 on board the Creole, a ship involved in the United States coastwise slave trade. As 128 slaves gained freedom after the rebels ordered the ship sailed to Nassau, it has been termed the "most successful slave revolt in US history". Two persons died as a result of the revolt, a black slave and a white slave trader. The United Kingdom had abolished slavery effective 1834; its officials in the Bahamas ruled that most of the slaves on the Creole were freed after arrival there, if they chose to stay. Officials detained the 19 men who rebelled on ship until the Admiralty Court of Nassau held a special session in April 1842 to consider charges of piracy against them. The Court ruled that the men had been illegally held in slavery and had the right to use force to gain freedom; they were not seeking private gain. The 17 survivors were also released to freedom (two had died in the interim). When the Creole reached New Orleans in December 1841 with three women and two child slaves aboard, Southerners were outraged about the loss of property. Relations between the United States and Britain were strained for a time. The incident occurred during negotiations for the Webster-Ashburton Treaty of 1842 but was not directly addressed. The parties settled on seven crimes qualifying for extradition in the treaty; they did not include slave revolts. Eventually claims for losses of slaves from the Creole and two other US ships were covered, along with other claims dating to 1814, in a treaty of 1853 between the US and Britain, for which an arbitration commission awarded settlements in 1855 against each nation. In the fall of 1841, the brig Creole, owned by Johnson and Eperson of Richmond, Virginia, was transporting 135 slaves for sale in New Orleans, the South's major market. It had left Richmond with 103 slaves and picked up another 32 at Hampton Roads, Virginia. Most were owned by Johnson and Eperson, and 26 were owned by Thomas McCargo, a slave trader who was one of the passengers on board. While the United States had prohibited the international slave trade effective in 1808, it permitted the domestic slave trade among those states that authorized slavery; many slave traders transported captives by the coastwise slave trade along the East Coast. The brig also carried tobacco, a crew of 10, the captain's wife, daughter and niece; four passengers, including slave traders; and eight black slave servants, for a total of 160 on board. Madison Washington, a refugee slave who had been recaptured after returning from Canada to Virginia for his wife, was among those being shipped for sale in New Orleans. The slaves were kept in the forward hold, and he gained the deck after one of the crew had lifted the grate. On November 7, 1841, Washington and eighteen other male slaves rebelled; they overwhelmed the crew and killed John R. Hewell, one of the slave traders, with a knife. The crew and passengers had only one gun among them, which they never used. The captain, who was wounded, and two mates had gone up into the rigging to escape the fighting. One of the slaves was badly wounded and later died. Some others of the crew were wounded but all survived. The slaves took overseer William Merritt at his word that he would navigate for them. They first demanded that the ship be taken to Liberia, which the US had established as a free colony in West Africa. Merritt said that voyage was impossible as they did not have enough food or water. Another slave leader, Ben Blacksmith, said they should be taken to the British West Indies, as he knew the slaves from the Hermosa had gained freedom there the previous year. On November 9, 1841, the Creole reached Nassau, where it was first boarded by the harbor pilot and his crew, all local black Bahamians. They told the American slaves that, under Bahamian colonial law, they were free. The crew advised them to go ashore at once. The Quarantine Officer came aboard. As the captain Robert Ensor was badly wounded, the officer took First Mate Zephaniah Gifford to inform the American Consul of the events. At the Consul's request, the governor of the Bahamas ordered a guard to board the Creole to prevent the escape of the men implicated in Hewell's death. The 24 black soldiers were led by a white officer. This action prevented the slaves from dispersing into the city. Fearing the British would apply their ban on slavery to the American slaves, the American consul tried to organize American sailors on the island to take back control of the ship. He intended to have them sail the ship out of British jurisdiction with the slaves still aboard. An American group of sailors approached the ship on November 12, intending to sail it away, but were foiled by a Bahamian who shouted a warning to the officer of the guard aboard the Creole. He threatened to fire into the Americans in their boat, and they withdrew. After an investigation by magistrates, on Friday, 13 November 1841, the Bahamian Attorney-General went aboard. He told the nineteen rebels that they would be detained. He informed the remainder: "You are free, and at liberty to go onshore, and wherever you please." A fleet of small boats manned by locals, who until then had surrounded the brig at a distance, immediately came forward. 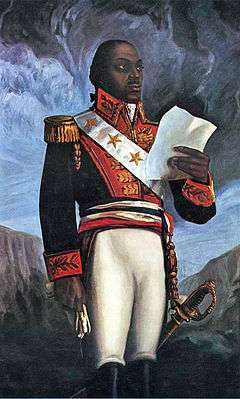 The Attorney-General warned the people against boarding the Creole, but said they could provide passage to those slaves who wished to go to shore. Most did so, although three women, a girl, and a boy stayed in hiding on board. They eventually sailed with the ship to New Orleans and back to slavery. The New Providence government arranged for a ship bound for Jamaica, also under British control, to take passengers to that island for free, and announced it in the newspaper. Numerous American blacks from the Creole left for Jamaica aboard it. After the Bahamian government arrested the conspirators, the United States government dropped its claims for all the slaves to be returned to its custody. There was no extradition treaty at the time between Britain and the United States governing such circumstances. The British authorities determined that the slaves had not committed any breach of British or maritime law. As under British law they were free men, they were considered to have the right to use force to escape the detention of illegal slavery. The Admiralty Court in Nassau held a special session in April to consider a charge of piracy against the men implicated in the mutiny. Ruling that their action was not piracy, the Court ordered the surviving 17 mutineers to be released on April 16, 1842. As a total of 128 slaves gained their freedom, this has been described as the "most successful slave revolt in US history". The Creole had departed months before for the United States, reaching its original destination of New Orleans on December 2, 1841. Five slaves were still aboard, outraging planters and politicians who learned that the remaining slaves had been freed by British authorities. The case attracted national attention in the United States and provoked diplomatic controversy. In Boston in 1842, abolitionist William E. Channing published a pamphlet, "The Duty of the Free States or Remarks Suggested by the Case of the 'Creole'," to refute claims by Southern politicians that the human property of U.S. slave owners should be protected in foreign ports. The issue was also under discussion due to negotiations over the Webster-Ashburton Treaty, which was ratified with the United Kingdom that year. Less than a year later, the Creole was wrecked in a violent storm while in harbour at Funchal, Madeira. The Creole case generated diplomatic tension between the United Kingdom and the United States, and political rumblings within the United States. Southerners were outraged to have lost property in another instance of British colonists freeing slaves from American ships that had gone into their ports in the Caribbean. The John Tyler administration supported Southerners in seeking the return of the slaves. Although known as an abolitionist, Daniel Webster as Secretary of State served John Tyler; he stated the US position to the United Kingdom that the slaves were legal property of US citizens and demanded their return. The United Kingdom had abolished slavery effective August 1834, and it rejected the U.S. claim. It had advised all nations that under its law, ships that went into its colonial ports would forfeit any slaves on board. It said that Nassau was a British territory where British law must be applied. Under it, the 'slaves' aboard the Creole were to be considered free passengers. Accordingly, unless they could be proved to have broken local or maritime law, it would be false imprisonment to detain them against their will. The abolitionist Charles Sumner argued that the slaves "became free men when taken, by the voluntary action of their owners, beyond the jurisdiction of the slave states." In March 1842 US Representative Joshua Reed Giddings of Ohio introduced a series of nine resolutions on this topic, arguing against the federal government acting on behalf of the slaveholders. He argued that Virginia state law did not apply to slaves who were outside Virginian waters, the federal government had no part in it, and the coastwise slave trade was unconstitutional, as slaves were beyond state law on the high seas, and thus free. Southerners in the House of Representatives disagreed with his position. The members censured Giddings by a large margin for violating an informal gag rule that had been in effect since 1836, barring discussion of slavery in the House. He promptly resigned. When the Ohio legislature held a special election in May 1842 for his seat, the voters of Ohio overwhelmingly reelected Giddings, by 7,469 to 383. Encouraged by the outcome of the Creole revolt, abolitionists renewed their political attacks on slavery and the coastwise trade. In the newspaper article, “The Hero Mutineers,” Madison Washington was named the ‘romantic hero.’ Washington was said to have shown sympathy toward the white crew members on the Creole by preventing his fellow slave mates from murdering all of them when they made a last effort to regain control. He was said to have personally dressed sailors’ wounds after the revolt. "The Creole case is presented in strong terms by Mr Webster in a letter (which, when published, will bring all the anti-slavery people about his ears)..." To this Lord Ashburton replied that as the case had effectively arisen after his departure from England he was ‘not empowered to treat upon the subject’. He reaffirmed the position that as slavery was no longer recognized under British law, any foreign slave arriving in British possessions was automatically considered as free — as was also the case in those American states that did not recognize slavery. He did however promise that British officials in the West Indies would be given ‘directions’...'to do nothing in this respect when it can be properly avoided’ in the interests of ‘good neighbourhood’. Among other declarations, the Webster-Ashburton Treaty called for a final end to the slave trade on the high seas, to be enforced by both signatories. Seven lawsuits were lodged against insurance companies in Louisiana by slave owners who had suffered financial losses due to the revolt, as the insurance companies initially refused to compensate them. Most of these insurance cases were consolidated and eventually heard by the Louisiana State Supreme Court. The Comet in 1830 and the Encomium in 1833 were American ships in the coastwise slave trade that were forced by weather into British Caribbean ports while carrying numerous slaves bound for the domestic market in New Orleans. The British treated the slaves on board as aliens, and freed both groups. Britain eventually paid compensation for these seizures, as it had not yet abolished slavery in its territories. When Parliament abolished slavery in its territories in 1833, Britain advised other countries that slave ships that put into its ports would forfeit the slaves without compensation. After British abolition of slavery in its colonies, effective in 1834, its officials freed slaves from the Enterprise (1835), and the Hermosa (1840), without compensation. In 1840, the Hermosa, a US schooner in the coastwise slave trade carrying 38 slaves from Richmond to New Orleans for sale, went aground on one of the Abacos islands in the Bahamas. After wreckers took the ship to port, the captain refused to let the slaves off and with the US consul, tried to arrange for another ship to take and deliver his slave cargo to the United States. British magistrates backed with armed force went onto the Hermosa, taking the slaves off and freeing them when they reached the port. The Americans protested. The Enterprise and Hermosa cases were submitted for arbitration under an 1853 claims treaty and, together with claims for the Creole and a variety of other unrelated claims dating to 1814, Britain paid a settlement in 1855 to the United States for these three cases. A total of nearly 450 American slaves achieved freedom due to British colonies' actions in these five cases. After years of discussion, the United Kingdom and the United States signed a February 1853 Treaty of Claims which articles included the claims of slave-owners who had suffered financially through the British emancipation of slaves in the Enterprise (1835), Hermosa (1840) and Creole incidents. A claims commission met in London from September 15, 1853 to January 15, 1855 to settle the amount of total awards covered under this treaty, which extended to a variety of claims dating from December 1814. In February 1855, Congress passed a bill accepting the commission's settlement and appropriating funds for the US payment required. British officials may have been warned off liberating slaves from US ships, but citizens sometimes acted independently. In 1855 the New York Times reported that an American slave had been removed by Jamaicans from the brig Young America at Savanna-la-Mar and "set at large". Although the action was taken by private individuals and not officials, the paper noted the potential for future conflict between the nations, and called for a lasting solution to be found by "the two governments interested". In 1852 the noted abolitionist Frederick Douglass published a novella called The Heroic Slave, inspired by the Creole revolt featuring Washington. He stressed the personal aspects of the slaves' rebellion, placing it firmly within American revolutionary tradition. Joshua Giddings introduced these resolutions in Congress in 1842 and was censured for opening debate on slavery in defiance of a ruling against it. He resigned and returned to his home state of Ohio, where he was quickly re-elected by his constituents in a special election. He soon returned to Congress. Resolved, That, prior to the Adoption of the Federal Constitution, each of the several States composing this Union exercised full and exclusive jurisdiction over the subject of slavery within its own territory, and possessed full power to continue or abolish it at pleasure. Resolved, That, by adopting the Constitution, no part of the aforesaid powers were delegated to the Federal Government, but were reserved by and still pertain to each of the several States. Resolved, That, by the 8th section of the 1st article of the Constitution, each of the several States surrendered to the Federal Government all jurisdiction over the subjects of commerce and navigation upon the high seas. Resolved. That slavery, being an abridgment of the natural rights of man, can exist only by force of positive municipal law, and is necessarily confined to the territorial jurisdiction of the power creating it. Resolved, That when a ship belonging to the citizens of any State of the Union leaves the waters and territory of such State, and enters upon the high seas, the persons on board cease to be subject to the slave laws of such State, and therefore are governed in their relations to each other by, and are amenable to, the laws of the United States. Resolved, That when the brig Creole, on her late passage for New Orleans, left the territorial jurisdiction of Virginia, the slave laws of that State ceased to have jurisdiction over the persons on board such brig, and such persons became amenable only to the laws of the United States. Resolved, That the persons on board the said ship, in resuming their natural rights of personal liberty, violated no law of the United States, incurred no legal responsibility, and are justly liable to no punishment. Resolved, That all attempts to regain possession of or to re-enslave said persons are unauthorized by the Constitution or laws of the United States, and are incompatible with our national honor. Resolved, That all attempts to exert our national influence in favor of the coastwise slave trade, or to place this nation in the attitude of maintaining a "commerce in human beings", are subversive to the rights and injurious to the feelings of the free States, are unauthorized by the Constitution, and prejudicial to our national character. 1 2 3 Williams, Michael Paul (11 February 2002). "Brig Creole slaves". Richmond Times-Dispatch. Richmond, VA. Retrieved February 2, 2010. ↑ The Times, February 16, 1842, p. 13: Quote: "In answer to an inquiry of Lord BROUGHAM, Lord ABERDEEN stated that orders had been sent out to the Governor of the Bahamas to liberate the 19 slaves now under constraint at Nassau for the mutiny and murder on board that vessel, unless (which is not to be apprehended) there were any local laws which justified or demanded a contrary course." ↑ Niles Weekly Register, 10 June 1837, p. 226: Note: Slave trader Oliver Simpson, of the District of Columbia, brought suit against the Charleston Fire and Marine Insurance company in the Court of Common Pleas for the Charleston District, South Carolina, for the loss of 28 slaves valued at $20,000 due to their emancipation from the Enterprise in Bermuda. ↑ "Acts of Congress/List of Acts and Resolutions Passed at the Second Session of the Thirty-third Congress", New York Times, 24 February 1855. Quote: "...Our Treaty on Claims with Great Britain: On motion of Mr. HOUSTON, the bill carrying into effect the treaty between the United States and Great Britain on the subject of claims, concluded February, 1853, was taken up...the commission provided for the payment of $270,700 against this Government, due British subjects, and $329,000 against the British Government, due to American citizens, requiring the money to be paid in one year from the expiration of the commission, which expired on the 15th of last month...The treaty has relation to slaves on board the Enterprise and Creole. The bill passed under the operation of the previous question." ↑ New York Times, 20 July 1855. ↑ New York Times, 20 March 1886: "Captain L.(sic)C. Gifford's death." Johnson, Walter. "White lies: Human property and domestic slavery aboard the slave ship Creole", Atlantic Studies (ISSN 1478-8810), v. 5, no. 2 (Aug. 2008), pp. 237–263. Jones, Howard. "The Peculiar Institution and National Honor: The Case of the Creole Slave Revolt", Civil War History, 1975, pp. 28–50, at Project Muse, subscription. Downey, Arthur T. The Creole Affair: The Slave Rebellion that Led the US and Great Britain to the Brink of War. Lanham, MD: Rowman and Littlefield, 2014. Giddings, Joshua. History of the Rebellion. New York: Follette, Foster & Co., 1864. Johnson Walter (ed. ), The Chattel Principle: Internal Slave Trades in the Americas. New Haven, CT: Yale University Press, 2005. Phillimore Robert. The Case of the Creole Considered in a Second Letter to Lord Ashburton... J. Hatchard and Son, 1842. Sale, Maggie Montesinos. The Slumbering Volcano: American Slave Ship Revolts and the Production of Rebellious Masculinity. Durham, NC: Duke University Press, 1997. "Creole Case, The". New International Encyclopedia. 1905.